The Sony Xperia XA2 Ultra is a new Android smartphone launched by the Japan-based Android maker. This is the first Android smartphone from the house of Sony to sport the dual front shooter setup. Sony Xperia XA2 Ultra price in India begins from Rs. 35990. and is due to be rolled out in March 2018. The Sony Xperia XA2 Ultra features different colour options such as Black and Gold which are as well priced similarly. Under the hood, the Xperia XA2 Ultra is managed by an Octa-core MediaTek Helio P20 chipset. This is coupled with 4GB RAM to deliver perfect and seamless functionality. The handset is designed to take care of multitasking as well as graphics-intensive games. The Xperia XA2 Ultra sails on the Android 8.0 Oreo OS out of the box. In the camera department, this latest Android smartphone flaunts a sturdy 23 Megapixel primary shooter and a dual 13+8 Megapixel front camera that guarantees clearer and wider self-portraits. The primary shooter on the smartphone can as well be used to record videos and images in dark areas as it is armed with a dual-tone LED flash to do the same.The primary camera also comes with other features such as Autofocus, Geo-Tagging, Touch Focus, Panorama, Digital Zoom, and Face Detection. The Xperia XA2 Ultra emulates the XA1 Ultra as far as display is concerned. The handset sports a large 6-inch Full HD IPS display which is appropriate for those who enjoy seeing videos or indulging in games. The screen is mated to Sony's in-house Triluminos display which outputs vibrant colours. The device comes with a screen resolution of 720x1280 pixels and outputs a pixel density of 441 PPI. The screen on the Android smartphone as well features a scratch-resistant coating. One more key aspect of the handset is that the location of the fingerprint sensor has now moved to the rear from the side. Also, it presents a sleek metal unibody design. You can easily carry it around without any hassles. To address the power needs, the device is supported by a non-removable Li-ion 3600 mAh unit. This can last for a whole day considering moderate usage. The Sony Xperia XA2 Ultra is an awesome smartphone which comes with a trendy look and sports decent functionalities to attract the customers. It is nicely designed under the hood to manage heavy multitasking. The shooters can snap crisp and clear images and the memory capacity is as well great. Although the battery backup is not so great, considering the other nice functionalities the Sony Xperia XA2 Ultra will be a good deal at this price point. 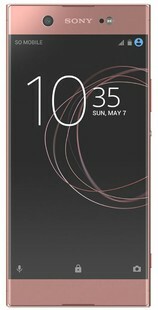 Sony Xperia XA2 Ultra full specs and reviews as of Apr 2019. Buy it here!